The driver investigation history file may be maintained separately from the DQ file. Its contents may include private and sensitive documents that are confidential and privileged. Despite this, the motor carrier’s insurer will likely have access to it, with the exception of drug and alcohol records. This furnishes an argument that one injured by the driver should have similar access. The regulations permit, but do not require, that the “personnel file” be combined with the DQ file. Keep in mind that there are a number of documents that may be created in the DQ process that nevertheless are not required to be kept in the DQ file. For example, while both the road test certificate and the medical examiner’s certificate must be maintained within the DQ file, the actual road test form and the medical examiner’s report need not be kept in the DQ file. Further, there may be disciplinary documents created by the motor carrier for violations of its own internal policies that are not required to be kept as part of the DQ file under the FMCSRs. Also, do not overlook the possibility the motor carrier may keep disciplinary records in a file other than the DQ or personnel file. Any items that the regulations either do not address or do not require be kept in a particular file should not be allowed to fall through the cracks. Tailored and targeted written discovery requests should seek to obtain those specific items, identifying them by name whenever possible. General requests that merely seek all items kept in a particular file or location serve simply to give the motor carrier and its counsel a pass on producing otherwise relevant documents. The regulations allow for portions of the DQ file to be disposed of over time. If, when organizing the file, it appears that a record is missing, place a note at the appropriate point where one would expect that record to be. This will help you spot those documents that may have been eligible for destruction. Also, if some documents eligible for destruction are nevertheless still part of the file, while others are not, counsel should seek to determine why some items were selectively pulled and shredded. Discovery should also seek both the DQ file and the investigative file. The information from prior employers, especially a driver’s accident history, can be very valuable. This is especially true in cases where a driver’s history with prior employers would have resulted in the termination of his employment with the current motor carrier. The requirement that a “skill performance evaluation certificate” be part of each DQ file seems anomalous, as this document only pertains to those individuals who have some form of disability that they must overcome to drive a CMV. Therefore, do not be surprised (or particularly excited) if this document is absent from the file of a healthy driver. Bear in mind a driver-training school must prepare a DQ file for its students. This file should also be sought because it may contain information related to a driver’s skills. More than likely, it also represents the first portrait of the driver while a student at the start of his career as a CMV driver. The failure to maintain, or even create, a DQ file may not be admissible where there is no indication that the violation contributed in any way to the collision. In Wallen v. Allen, the owner of the motor carrier pled guilty to violating the regulations by failing to create a DQ file for the driver involved in the underlying wreck. The Supreme Court of Virginia held that evidence of the guilty plea should have been excluded, observing “the most meticulous record-keeping would not have disclosed any evidence of [the driver’s] unfitness.” Thus, plaintiff was unable to establish the element of proximate cause on both his negligent hiring and punitive damages claims. In Fowler v. Smith, the Georgia Court of Appeals held that the motor carrier waived the right to present evidence of its creation of a driver qualification file by failing to submit the same prior to the hearing on a summary judgment motion against it. There, the plaintiffs’ motion for summary judgment was based on the motor carrier’s failure to create the required DQ file as mandated by the regulations. Despite the motor carrier’s argument that it located the file after the motion was granted, the appellate court affirmed summary judgment since it did not produce the file in discovery. 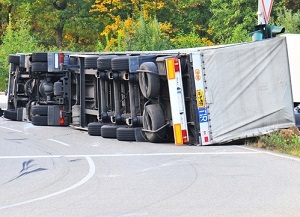 The case for obtaining summary judgment for failure to comply with the FMCSRs can be likened to spoliation of evidence penalties in the right case, and can lead to early resolution for a truck wreck victim.